One time or another, it happens to all of us: getting locked out of the house. Before you panic, follow these ten lockout tips to get back in and prepare yourself for next time. So you're locked out. Don't panic. Some of these tips may seem obvious, but it's easy to overlook small details when frazzled. Review the list below to see what options are best for your situation, then scroll down to read further details. Call any roommates or family members. If you don't have access to a phone, reach out to a neighbor. If you are renting, contact the property's rental office or your landlord. Check all windows, doors, and garages. Does your garage have a door to get inside? Are any windows open or other doors unlocked? Are your neighbors home? Can you use their phone to call someone or do they have tools you can use to get inside? Do you have some form of plastic card, library, credit, etc. on you to open the door? Your door will have to be a specific type for this to work, but skip to #4 if your home uses spring latch knobs and you want to try this method. 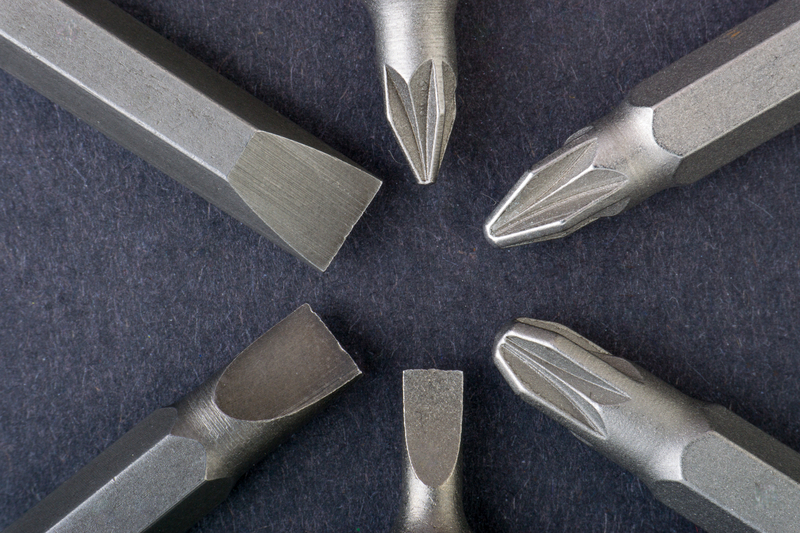 Do you have access to tools like a screwdriver? Check if there are any visible screws on your doorknob, or if the plate can be removed. Read #5 for info on removing your doorknob completely. Call a locksmith. Either use your phone or a neighbors and call a professional for help. 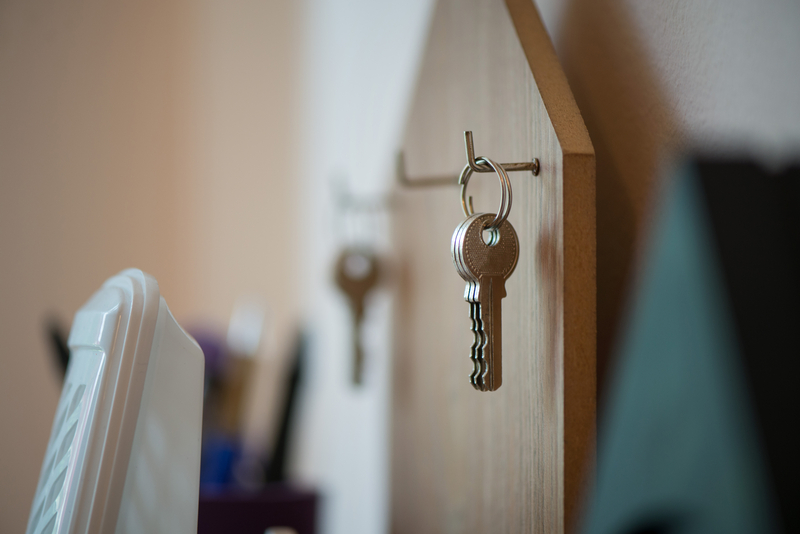 When dealing with future lockouts, try leaving a key with a neighbor or nearby friend or relative. Consider hiding a copy of your key somewhere on your property. Invest in a key less lock system for your front door. Make a habit out of ensuring you leave home with your keys and all necessary items. If you've got roommates/family and they're not home, call them. If you've also left your phone inside, you'll have to reach out to a neighbor to use theirs. Hopefully your family/spouse/roommate etc. is able to come let you in. If you're renting, try calling the landlord or visiting the rental office. Oftentimes, apartment/townhouse management offices can help you out of a jam, though they may charge a fee. Landlords, on the other hand, may be a bit more hit or miss, depending on their proximity to your location. 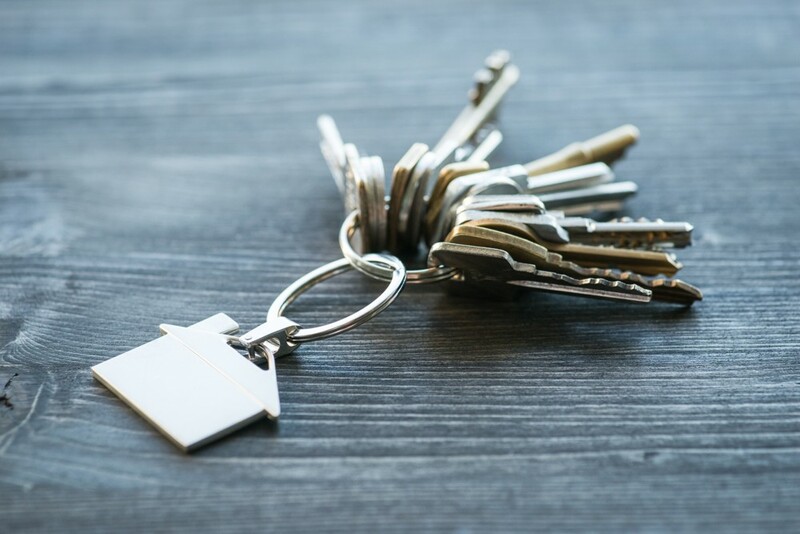 If you are renting from a landlord, it's not a bad idea to call them, as it may be possible they've left a key specifically on the premises for just this kind of situation. 2. Check All Accessible Windows, Doors, Garages, etc. If no one is around to let you in, or you live alone and have no management office/landlord to reach out to, it's up to you to find a way in. Start by checking the perimeter of your home. If you live in a house, check all doors and reachable windows. 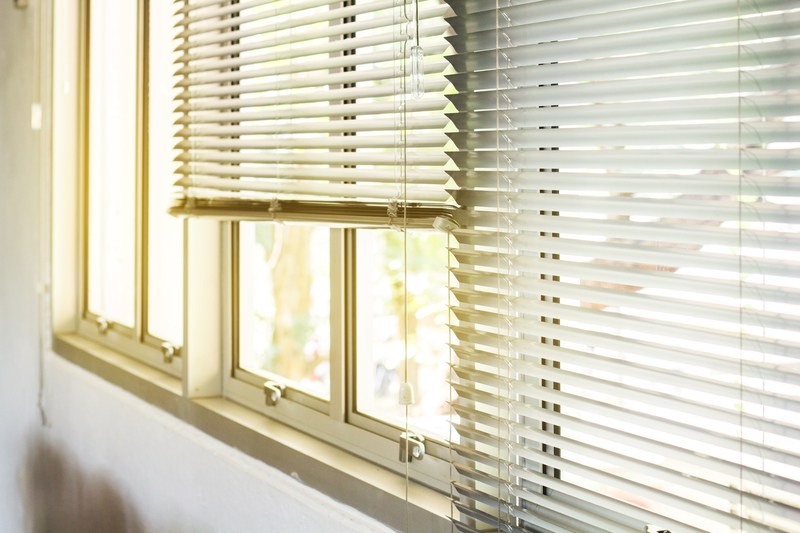 If you do have a window that's slightly open, attempt to remove the screen and slide open the window. Be careful if you manage to find and climb through an open window. If you have a garage with access to the house, but the garage is sealed, see if you can open it, or if it opens via remote, pray you have your car keys to get the clicker from your vehicle. If you're in a townhouse, you may have less options. There may not be a back door to your unit or you may only have windows that are on a second floor. So unless the weather's been nice enough that your windows are left open or you have a habit of leaving the back or side door unlocked, you won't be able to get in. Don't go breaking any windows just yet. More than likely either route you decide to take, you'll need a little help from a neighbor. It's highly unlikely you've managed to lock yourself out of your home with a set of tools, a lock pick or otherwise. However, your neighbors may be able to help you out. They might have tools to help you in like a ladder, a screwdriver, a bobby pin, etc. Even a paperclip or a wire coat hanger that can be straightened, can be used to finagle a lock if you're lucky, though this depends on the kind of door your house has. They may also have some tips to help you break back into your home. Listen to their advice, and thank them for their help. Depending on the type of door your home has, you can attempt to pick the lock yourself. Note that many modern, newer doors may not allow for this method. If you (or your neighbor) has a credit card, or better yet, a sturdy, laminated card like a library card, you can attempt to open the lock using this. A laminated card is more flexible and will be better suited to opening a standard spring latch lock. Either way, use a card that is not incredibly important, as this method may damage the card. You've already been locked out, lets avoid having to call the credit card company for a new card, too. If your door is a spring latch kind, then using a card may work. If you attempt to turn the handle and it does not turn, then your door is a spring latch and it's locked. Know that maybe your front door is a more modern and secure knob type- but if your home as a door inside the garage, it's possible the knob for that door is more conducive to this method of getting inside. If the door is also locked via deadbolt, this method may not be possible. Consider reaching out to a professional for help in this case. To open the door, slide the card in between the door and the frame and keep your other hand on the knob/handle. You may have to press on the door with the hand holding the knob to create extra space between the door and frame, allowing the card to fit. With the card wedged between the door and the frame, angle the card parallel with the door and where the doorknob is. Feel around with the card inside the frame. You should feel the latch parallel to where the knob is. This may take a bit to find the right spot, but adjust the card to where you feel the resistance of the latch in the frame. Tilt the card towards the doorknob, to allow it to go further in the gap between the door and the frame. Then, bend the card the opposite way, allowing it to slip underneath the latch. More jiggling of the card may be required, while your other hand on the handle should be pulling or pushing the door. Apply pressure to the door/handle when you feel like there is some give from moving the card around, and hope that is opens. Don't get discouraged, this can be challenging. If you're unable to open the door with the credit card method, you could attempt to remove the doorknob itself. Note that this will only work again if you don't have a deadbolt engaged. And again, your front door may not have a handle that is so simply removed. If that's the case, seek a professional. If you have neighbors nearby, ask for help and see if they have screwdrivers. Make sure you know what kind of screws are on your doorknob. You'll most likely need both a flathead and a phillips screwdriver. 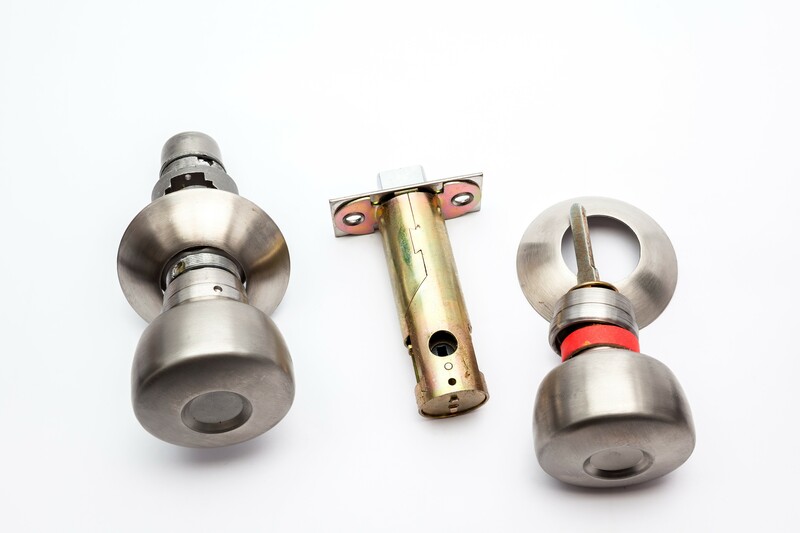 Many exterior door knobs don't have exposed screws. In this case, you'll have to find a small latch or way to remove the knob/plate from the door. Use the flathead screwdriver with some leverage to pry it off. Using the phillips screwdriver, remove any internal screws. If this all works out, you can move the knob out of the way and use your finger or the screwdriver to pull the latch. This may be a slower method but if done correctly, won't cause any damage to your door. You don't have a card, you don't have a way in, you don't have any neighbors. You have no options. It's time to call the locksmith. Costs for a locksmith vary depending on where you live and the extent of the services required. For an example, a locksmith company in Tennessee charges between $65-$120 for a residential lockout service call, while a company in New York City charges $150 for an emergency house opening fee. If you've completely lost your keys, costs may rise further. Despite the price, the locksmith is your safest bet if you're not confident in your junior lock picking skills or don't have the time or patience to fight with your front door. Now that you’re in your house, it’s time to plan ahead and make sure you don't get locked out again. Prepare for the future by taking some preventative measures as soon as you move into a new house. By following the four tips below, you can save yourself from losing precious time and money in the event of an untimely lockout. Consider getting a few extra copies of your key made the next time you are at the hardware store. Give them to trustworthy neighbors or friends and family that live close by. Should you get locked out again, you can easily call on your neighbor or local relative and, if all goes well, you should be back inside your home in no time flat. In return, you may offer to carry a copy of their house key in the event they are locked out. If you don’t have anyone around that you trust with a copy of your house key, or you want another backup method, hide one of those spare keys you just made in a secret, secure spot. Whatever you do, don’t make the mistake of putting your spare key in common places like under your doormat or in an obviously fake decorative rock. If you do this, your property is liable to be broken into. Instead, opt for something more stealthy. Got a few trees in the backyard? Consider nailing your key to the back of a tree in a spot that's not visible from the house. If that's not your style, maybe invest in a magnetic lockbox you can keep stashed somewhere on your car. You'll just have to hope your car is home should you get locked out. Another possibility is to tuck a key into an AC unit or grill. Just make sure it's securely hidden and not in harm's way, or unable to cause damage to the unit. One final idea is to consider hiding a key in your gutter. 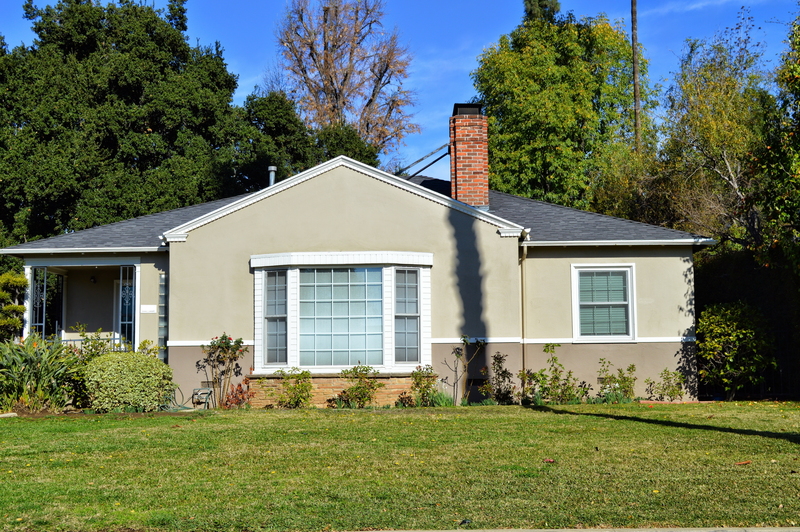 It should be placed on the top part of the gutter so the rain does not corrode or damage the key. Use a heavy duty Velcro strip or adhesive to keep the key stable and secured to the gutter. If you're looking to prevent lockouts and improve your overall home security, install a keyless lock on the door. There are many options available for keyless door locks, which offer a high level of security along with advanced technology. Best of all, they're not as expensive as you might think. Keyless door locks come with many features, such as fingerprint recognition, door code access, and cell phone compatibility. These locks are available at hardware, home improvement stores, and locksmiths. Since installation can be tricky, consider hiring a professional to complete the install. 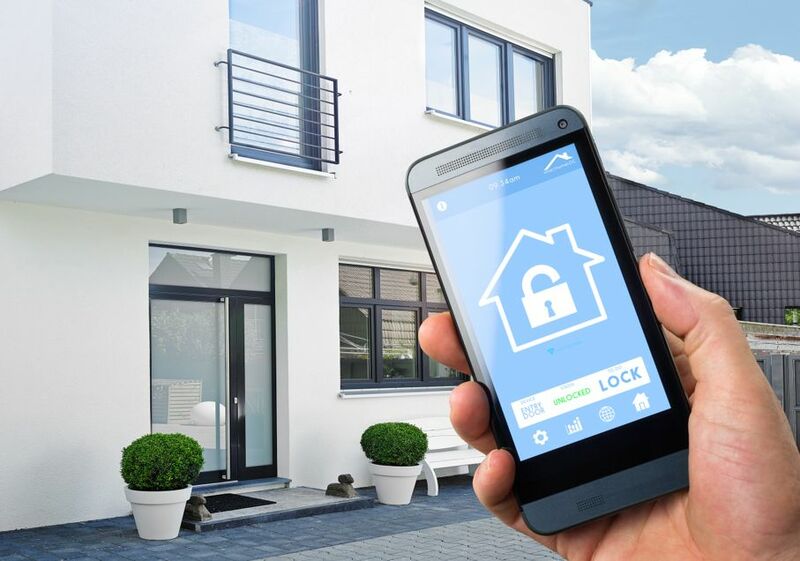 By installing a keyless door lock, you’re getting a big jump on the latest in home security features, and you’re less likely to get locked out of the house down the road. Chances are, you have a lot on your mind. As you gear up to leave your home, you’re probably thinking about what’s going on at work, your children, pets, what to make for dinner, and whether or not you recently called your grandmother. That’s a lot to handle. 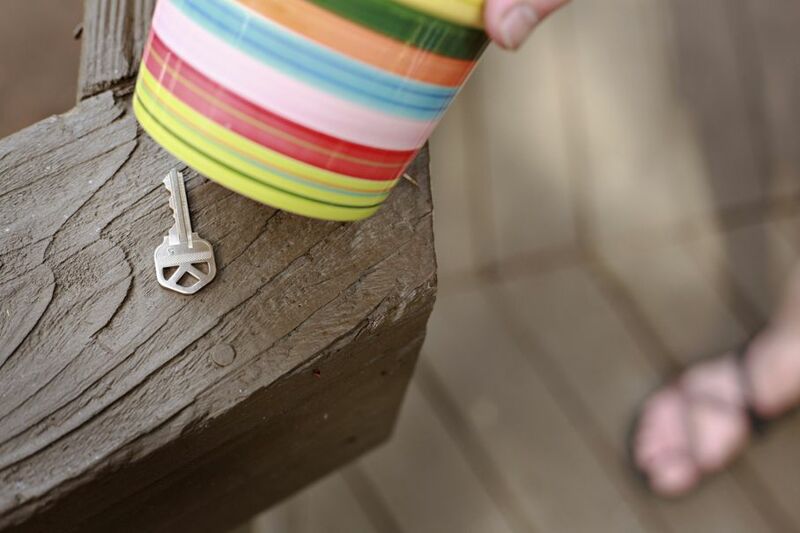 So when you leave the house, make a habit to help remind yourself to grab the keys. Place them near the front door or in a specific place in your purse or briefcase. Every time you're getting ready to leave the house, either say, or mentally list all the things that you need to gather before you exit the door. Make sure that your door key is one of them! Life is hard enough without dealing with getting locked out. If you find yourself in a pickle and unable to get inside your own home, follow the six steps listed above. Then, when you’re ready, prepare for the inevitable future lockout.